I haven't even finished swatching the China Glaze Summer Neons, but I got my paws on some of the China Glaze fall colors and had to show you one ASAP! The China Glaze fall collection is called On Safari and features two glitters, some great vampy colors, a couple of jewel toned cremes, and some lovely neutrals. 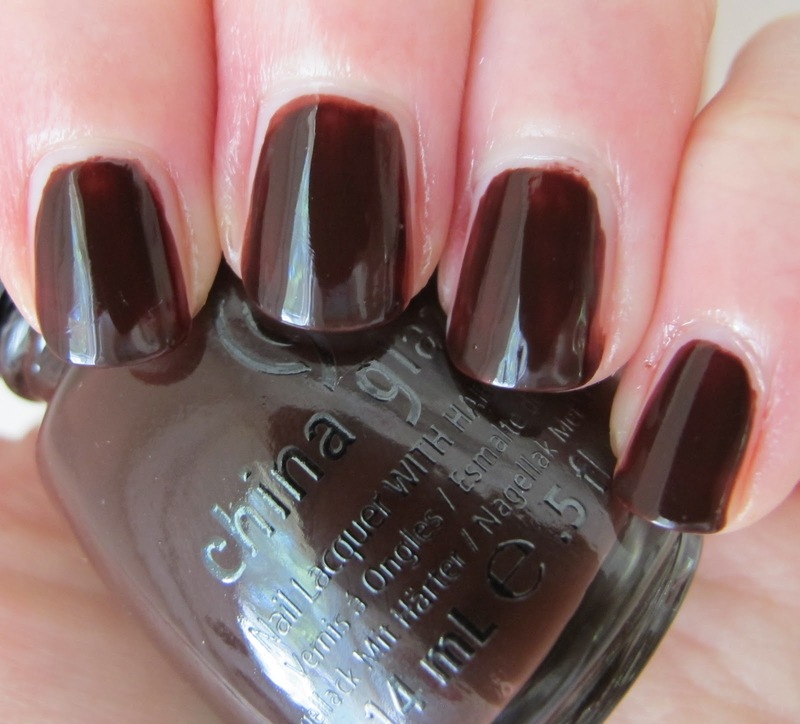 Today I have on China Glaze Call of the Wild, a deep chocolate cherry creme. Call of the Wild is the kind of dark, mysterious color I love to wear during the fall and winter. It's definitely a vampy, but it doesn't look too black indoors or in the shade. 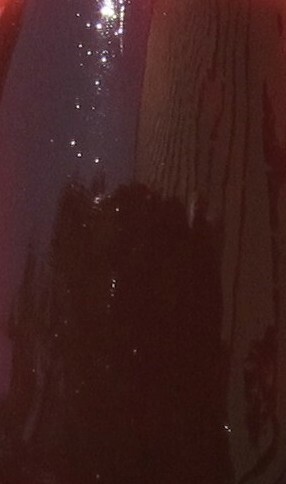 It is a lovely deep reddish-brown. I did three coats of Call of the Wild and I think the finish looks gorgeous! It dries quite shiny by itself, but I have it topped with Seche Vite here. I like my vampys super shiny! The formula was good. I found the first coat looked pretty uneven, but it smoothed out nicely with the second coat. 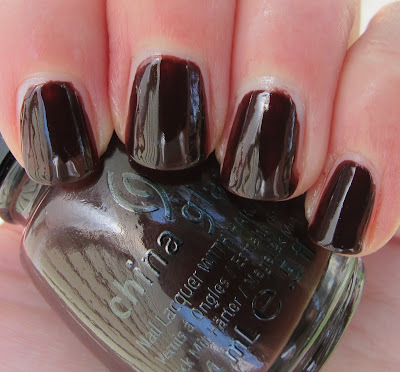 I love the first China Glaze fall 2012 polish I tried and can't wait to show you the others I have! I really have such a soft spot for fall collections. The China Glaze On Safari collection is available now at an Ulta near you. This is a great fall color. This is the kind of color I put on right away when the weather gets crisp. Do you want any of the On Safari colors, MariJo? Thanks polishloving! It is pretty shiny alone, but I added some Seche for extra shine! Sally Hansen Polar Purple Magnetic Polish! OPI and Nicole by OPI Fall Collections Preview! China Glaze I Herd That- You Need It. 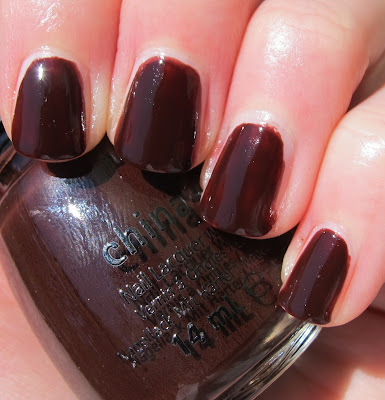 China Prey Tell is Perfect for Fall! China Glaze Orange You Hot? Sally Hansen is giving away $1000!!! Lynnderlayer- Chocolotta Love and Zoya Marilyn!